CursiveLogic . . . A T.O.S. Review | My Journeys Through Life . . . Herding Cats In New Mexico! 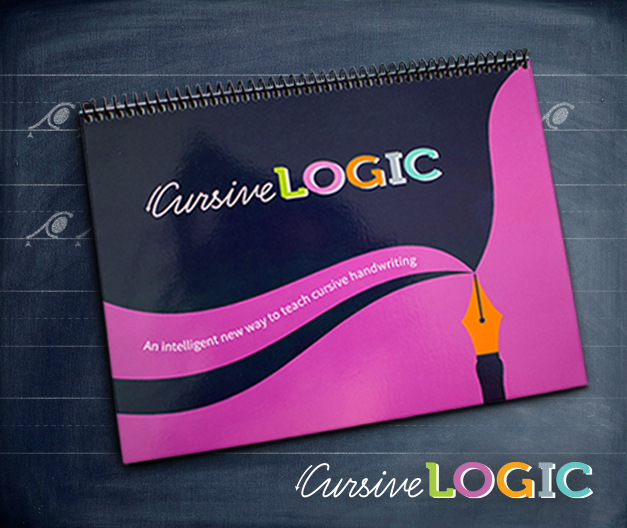 Once I read about how, and why, Linda Shrewsbury created the CursiveLogic method, and the CursiveLogic Workbook, I was very eager to get a chance to try it out. When she explained about her “special” student Josh, it made me think about my own son, “The Batman”, who also just wants to be able to sign his name “the right way, mom”. Right away, I could see by the way CursiveLogic is arranged, that it would be a good fit. By using two key features, this program is helping my boy to get much quicker results than other programs. 1. Letters grouped by shape ― Four foundational shapes underlie the entire lowercase alphabet. Rather than teaching the letters alphabetically, CursiveLogic groups the lowercase alphabet into four groups based on the shape of the initial stroke of the letters and teaches all of the similarly-shaped letters in a single lesson. Letters are also taught in a specific order that reinforces the pattern. By teaching all of the similar letters together, CursiveLogic captures the natural synergy of the alphabet itself, allowing each letter in the series to reinforce the proper formation of all the others. 2. Letter strings ― CursiveLogic captures the flow of cursive by teaching all of the similarly shaped letters in a connected string rather than as individual letters. 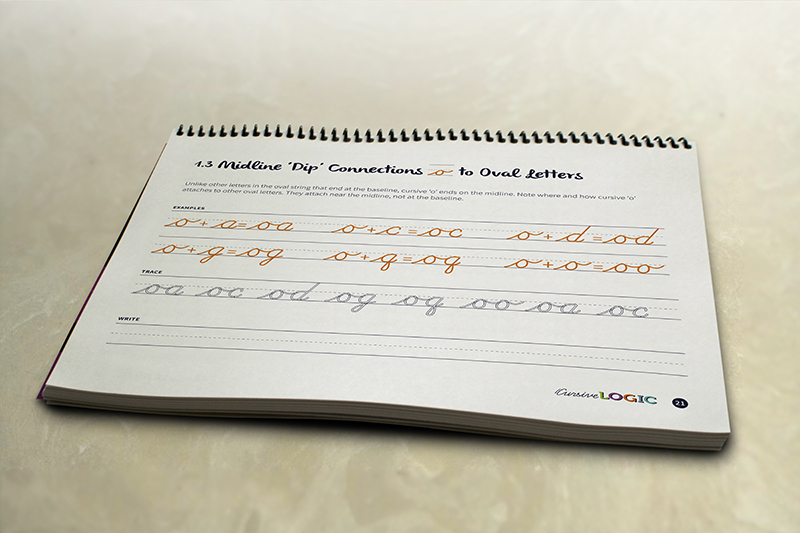 CursiveLogic’s letter strings teach students to connect letters from the first lesson, allowing students to internalize the flow of cursive handwriting even before they have learned all 26 letters. These two things alone make so much sense to me, that I wanted to try it just based on them. But wait, there is more! We very much like that because of the way the lessons are grouped, the student sees immediate progress. 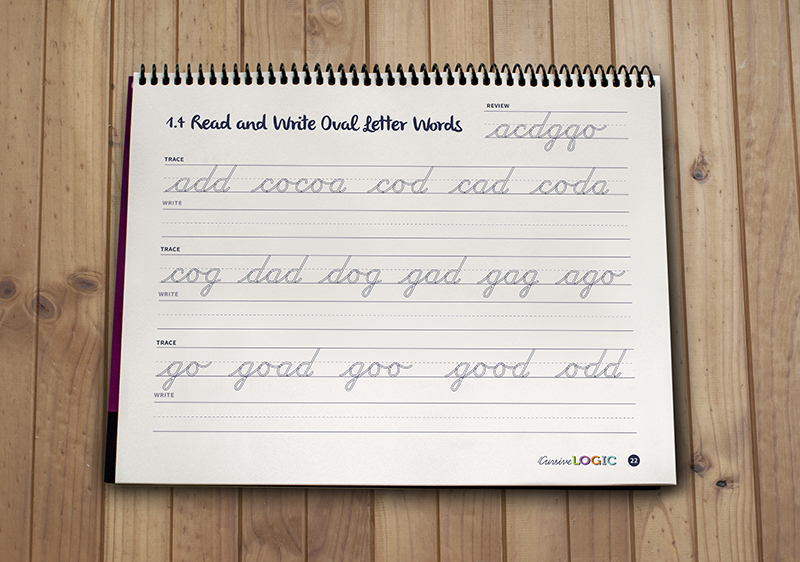 Instead of learning the letters in alphabetical order, practicing each one a page at a time, and THEN learning to put them together, the student is immediately attaching them with “strings”, and thus is able to write complete words very quickly. I really like CursiveLogic, and at only $29.00, I think it’s a bargain. Check out what other crew members thought about CursiveLogic by clicking the banner below!